So I was inspired by a blog I saw recently. This is a post of my top five favorite things. 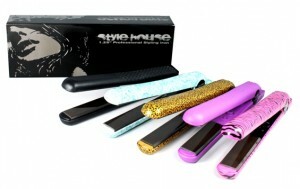 This has to be the best the flat iron that I have personally ever owned. Please let me remind you that I am CHEAP! I have never owned a CHI even though I really want one. I just refuse to spend that kind of money with six kids. Anyway Larry bought this for me from a friend that was selling them and I love the floating plates. No more pulling my hair out with this straightener. Let me just say for the record that my friend and stylist Sharon will be thankful that I finally got something to protect my hair from heat damage. Once again remember that I am cheap so I went to Walgreens looking for a heat protectant and tried several before I finally decided on this one. The biggest factor for me is the smell. I am easily irritated by certain smells and this one is light and leaves my hair feeling smooth and managable. I seriously wear this fragrance EVERY single day. I am panicked that I am getting near to the end of my current bottle and need to replace it immediately. 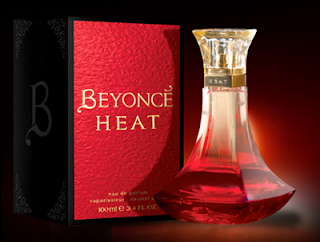 Since I am so easily irritated by certain scents I am always on the look out for light/clean fragrance and I think Beyonce picked a winner with this one! Love how clean it smells and Larry loves it too! I had wanted it for a long time and he surprised me with my first bottle of it. Try it and I am sure you will love it too. First let me say that my mother bought my husband this warmer for Christmas last year and we both just love it. I have had other candle warmers in the past and none come close to Scentsy. Normally I buy the Baked Apple Pie Scentsy Bars but at the last party I went to I also added Hazelnut Latte and fell in love instantly! This easily makes three rooms in my house smell good all at once. Believe it or not the warmer is just a lightbulb under there and therefore it is completely safe to have with our four year old. I mean it gets warm but I touched it last night and it didn't burn me. Now DON'T go sticking your fingers in the wax or touching the thing I was just letting you know that I am personally comfortable with the temperature of this item. 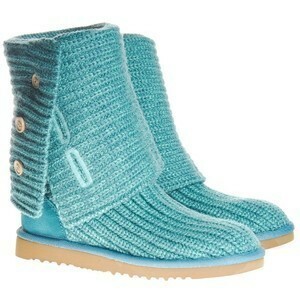 Last but certainly not least we have the Cardy Uggs in Pool Blue. I DO NOT have these. I am still coveting them from my good friend Michelle. She has them in pink and they are soooo cute. If anyone feels the need to drop a bunch of money on me feel free to buy me these in either blue or grey size 8. Just Kidding! Seriously though I want these and must have them this winter. My girls got Uggs last year and they love how comfortable they are. I texted Michelle just today to verify that she absolutely LOVED her Uggs and she assured me that she did. I'm going to have to try the flat iron balm stuff!! fun post, I may steal the idea one day soon w/ this challenge!! Definitly try the flat iron balm! I love it!